Mobile operators face tough action from Ofcom if a new industry code of practice to stamp out mobile mis-selling doesn't work. UK regulator Ofcom warned mobile operators that the new code of practice to cut out misleading sales and marketing practices had to work or they could face regulatory intervention to protect consumers. The new industry code of practice was published today after talks between Ofcom and mobile operators following a significant increase in mis-selling complaints to Ofcom. The complaints - totalling around 400 a month - involve mobile phone retailers either acting on, or claiming to act on behalf of mobile network operators. Mis-selling practices can include misleading cashback promotion offers that don't deliver, and cold-call selling with offers of upgrades where users are misled into signing up to new operators. As a result of the Ofcom discussions, the UK mobile network operators have published a code of practice to define the best approach to promoting and selling mobile services. 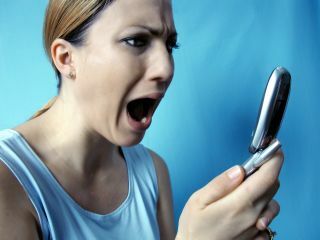 Ofcom has warned mobile network operators that it expects to see the level of complaints fall over the coming weeks. If that doesn't happen, operators can expect Ofcom to explore regulatory options instead. "We expect this new voluntary code of practice to stamp out mis-selling in mobile," commented Ed Richards, Ofcom Chief Executive. "If it does not, we will not hesitate to step in to protect consumers."